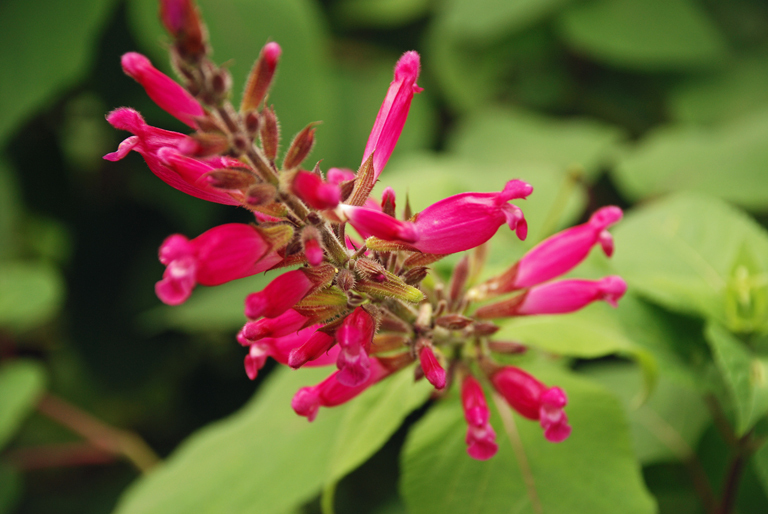 This month my Garden Flowers post, which I write with Rona Wheeldon of Flowerona, features Salvia involucrata. 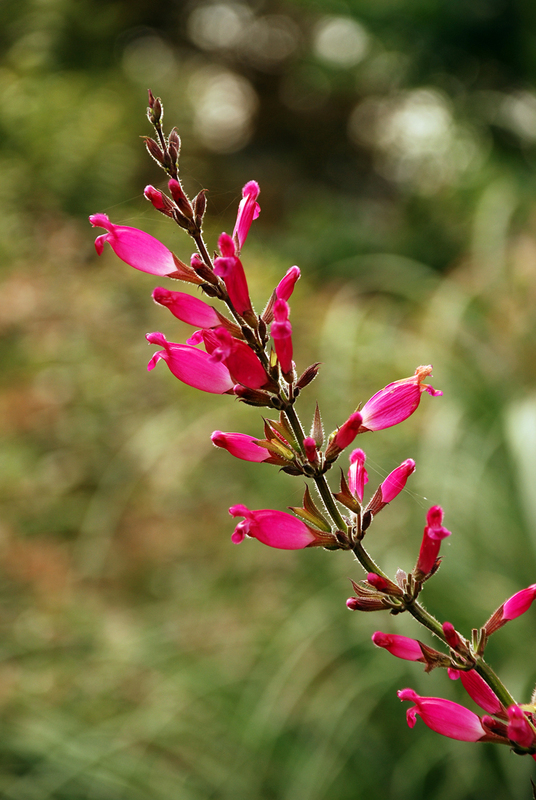 It’s a wonderful tall herbaceous perennial that has vibrant pink flowers which appear in the summer and continue well into the autumn. The pictures here were taken by me at RHS Garden Wisley just two weeks ago. The flowers really stood out at a time when most of the other plants were dying back for the winter. With an ultimate height and spread of 1-1.5 metres, this bushy perennial will soon fill a large gap in your border. 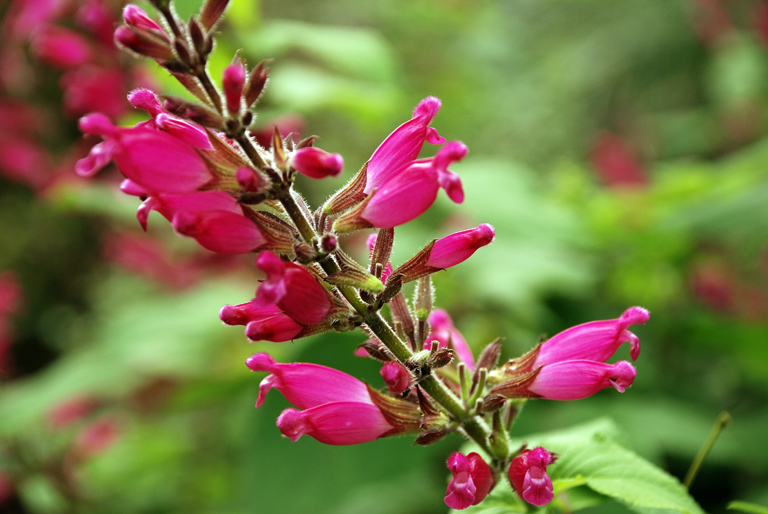 Salvia involucrata requires reasonably well-drained soil, but will tolerate those that are alkaline or acid, as long as it’s sheltered and the ground doesn’t become waterlogged. It’s slightly tender to the frost, so may need some protection over the winter months if the temperature really drops. A good layer of mulch, for example compost or bark chip, will do the trick. Or if you’re feeling really adventurous, you can lift them out of the ground and store them under cover in a greenhouse of cool conservatory, ready to replant the following year. Full details about protecting tender plants in winter can be found on the RHS website. 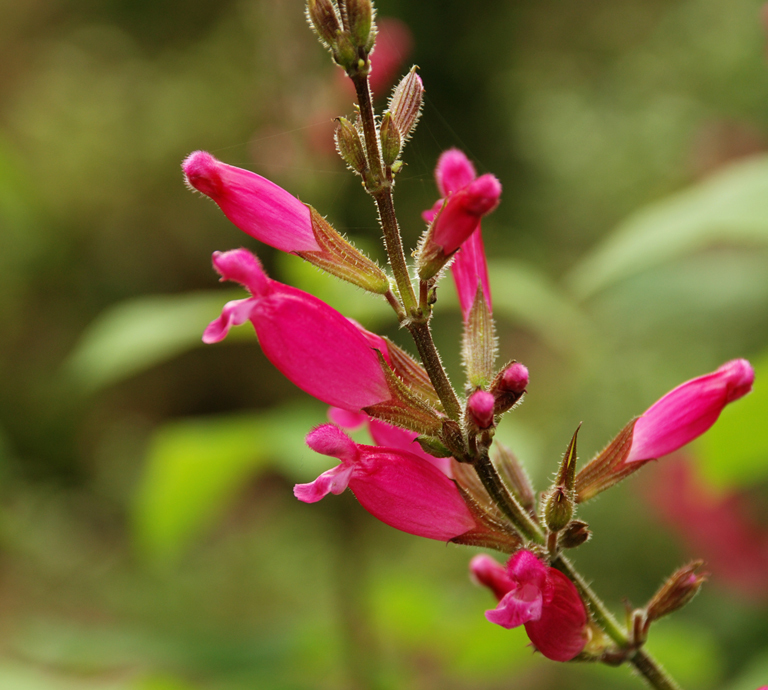 Salvia involucrata is best grown in full sun, but will tolerate partial shade or the light dappled shade of trees. At Wisley, it was growing at the edge of a woodland part of the garden so although it was shaded by the trees, it still had enough light to flourish. 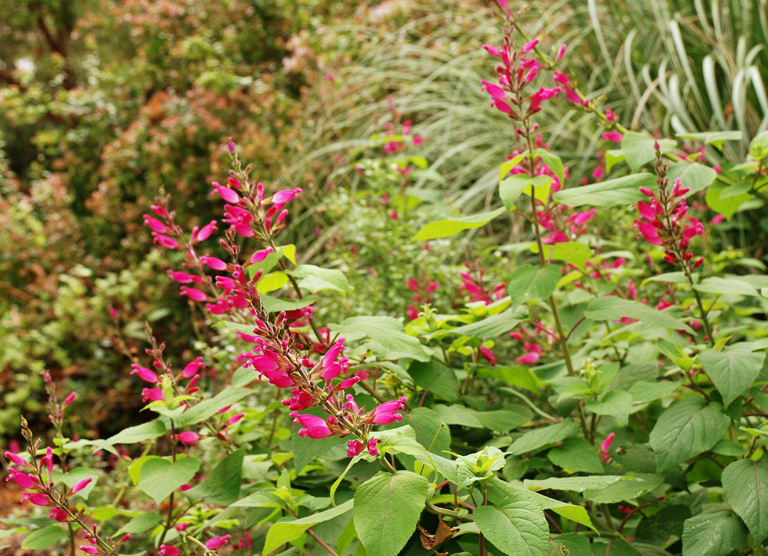 This salvia works best used in cottage-style planting schemes where the soft foliage can really be appreciated. Other places that you could plant it are in wall side borders and courtyard gardens, where it’s sheltered, and it will also grow in coastal gardens too. isnt it pretty! cuttings take well too, potted on they make great presents to friends! Indeed it is and so fabulous to see some colour so late in the year!